Shipping is calculated according to weight and size therefore you need to place your required items in the shopping basket, the estimated shipping button is at the bottom of the shopping cart. Simply enter country of destination and the cost of delivery is automatically calculated. You can then proceed to secure checkout if you wish complete your purchase. I am outside the EU, do I pay VAT. At checkout fill in the destination address and the invoice will automatically be calculated excluding VAT. I am VAT registered in the EU, do I pay VAT. At checkout you will have the opportunity to enter your VAT number and tick the box which will zero rate the invoice automatically. Is my required item in stock? We ship almost anywhere in the world provided TNT International, DHL or Fedex cover the country. Orders are despatched by courier the same or next working day dependent upon time of receipt of order. Transit time is dependent upon destination but generally between 24hrs and a couple of working days for more far flung destinations. . In the case where an engine has not been disturbed before the cylinder head gasket can be replaced with the same type. 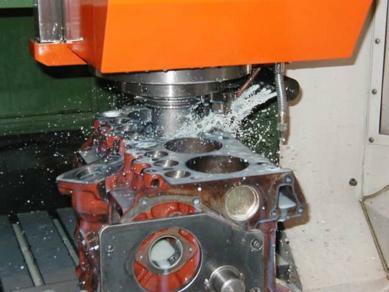 Head gaskets are marked with small holes which are visible on the side of the engine where the head gasket sticks out between the head and block casting. Head gasket type is dependent upon piston heights (protrusion at top dead centre) If there is any doubt over head gasket type all piston heights should be measured and type fitted accordingly.